Requires employers to ensure, so far as reasonably practicable, the health, safety and welfare of their employees This also extends to non-employees such as outside contractors and members of the public. Employers are required to provide adequate personnel, training, equipment and facilities to render FIRST AID to their employees should they become injured or taken ill at work. 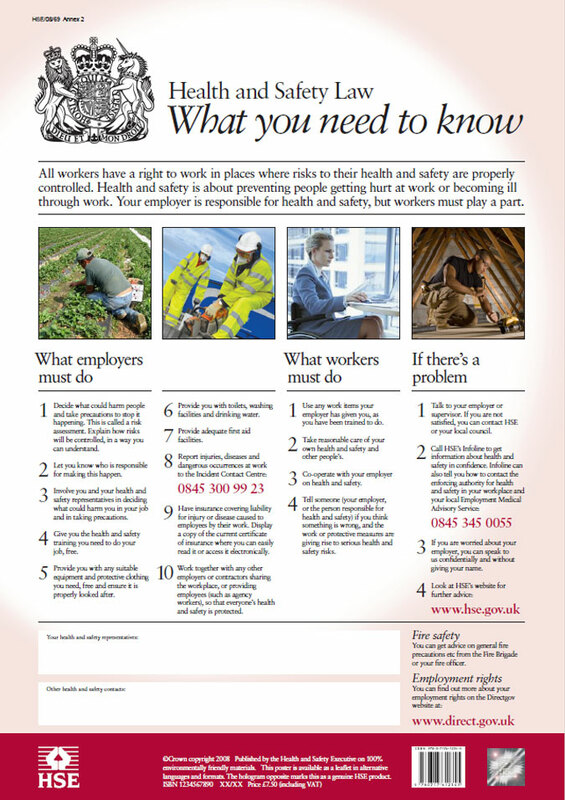 HSG65 guidance generally makes more explicit what employers are required to do to manage health and safety. More information can be found on the HSE website http://www.hse.gov.uk/firstaid/ or contact us and we can help!